Wastewater Overflow: What, When, and Where does this happen? For the most part, my experience with the river has been a clean one. The river can be a very safe and enjoyable place to swim given the point of entry and under the right conditions. 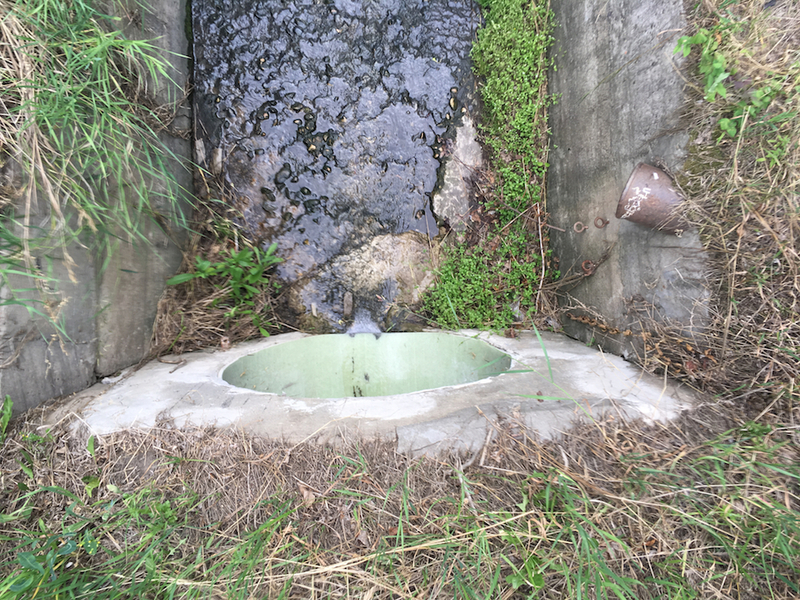 In this blog I’d like to point out certain spots around the river to be aware of when choosing where to go in, as well as to inform people on when our sewage and stormwater may be entering the river. Sewage and wastewater in Edmonton go to the Gold Bar Water Treatment Plant where it is treated and cleaned before entering back into the river. However, on periods of heavy rainfall or snowmelt some of the main trunks cannot handle all of the excess water, resulting in an overflow which sends raw wastewater into the river. This mostly happens in older city neighborhoods due to the combined sewer system where stormwater and sewage run on the same line. When these pipes “overflow” the wastewater is sent to Combined Sewer Overflows (CSO). There are 18 CSO’s stationed along the river, starting at the Walterdale Bridge and ending at Hermitage Park. Some of these overflows are more active than others leading to greater discharge volumes in those locations. Below are the names of each CSO in order of highest to lowest discharge volume and number of days of overflow from 2017. Volume is measured in cubic metres (m3) – 1 m3 is about the size of a washing machine. The other 10 CSO’s did not have any overflows in 2017, meaning no raw wastewater was released at these locations. Recently, Epcor completed a new tunnel system under the river as well as sewer gates to hold more water and limit overflows during heavy precipitation events. This is intended to reduce the amount of raw wastewater entering the river. The project was completed last fall so it will be interesting to see if the amount of discharge volume will be significantly less this year compared to previous years, of course taking into account that years differ depending on amount of rainfall and snowmelt as well. Below is a table comparing 2016 and 2017 total discharge volume. As shown above there was more overflow discharge in 2016 then there was in 2017. 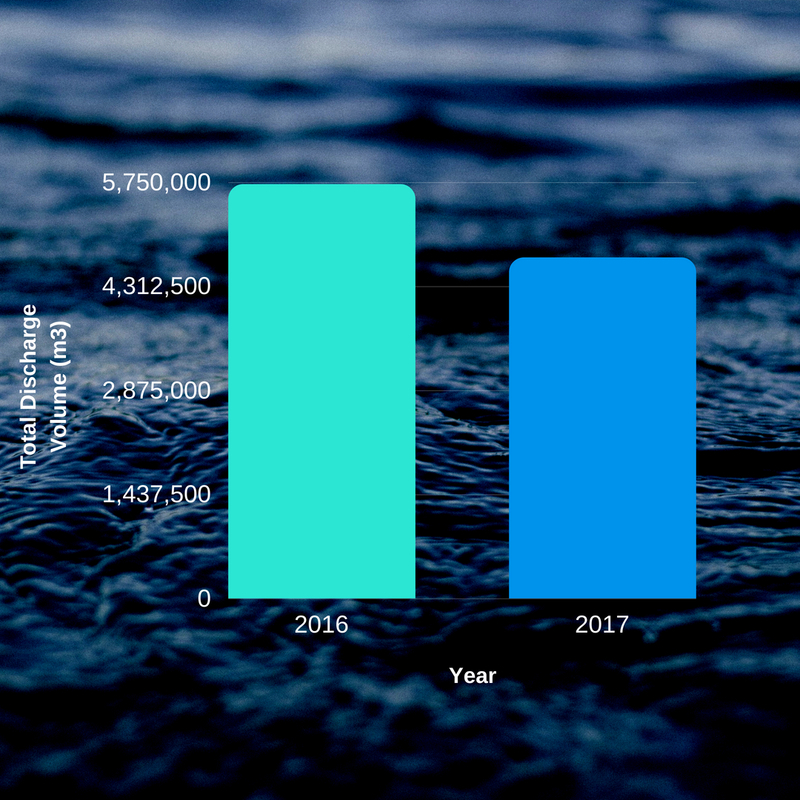 A total of 5,724,439m3 of wastewater was discharged in 2016 and a total of 4,712,160m3 was discharged in 2017. Hopefully with the new tunnel system in place the volume amount will be less in 2018. The Edmonton Journal recently released an article about sewage displacement in the river. They provide an interactive map showing where all the CSO locations are in Edmonton as well as data from those locations over the last 5 years. Be encouraged to check out these locations and the data history to have a better idea of where it may be good to swim/interact with the river. Precipitation is the leading cause to poor water quality because it can cause overflow and wastewater to runoff into the river. Remember the 48 hour rule – swimming should be avoided 48 hours after a significant rain event. We encourage people to enjoy and appreciate the North Saskatchewan River. When doing so it’s important to take precaution and to be aware of potential hazards when planning your next excursion. Ever since I can remember water has been a huge part of my life. It sparked from my childhood obsession with dolphins that soon grew to a love and respect for the ocean. Obviously having been born in Edmonton my interaction with the ocean was limited growing up, but the passion grew along with my passion for other recreational activities related to water. Trips to nearby lakes, dog walks in the local Millcreek Ravine, and visits to the river valley parks played a big role in my life. It opened my mind to the unique opportunity that Edmonton offers even if its no where near the ocean. The first time I truly realized this potential was a couple years back while taking a canoe trip through the Edmonton area river valley. I was surprised and struck by the beauty and the fun that was so close to home. The water was clear, clean, and refreshing. The river cuts through lush green forest and over many years has carved out an impressive valley surrounded by large cliffside banks. It is beautiful and to experience such a natural setting in an urbanized area was super cool and rare. The Edmonton River Valley truly provides a natural escape from the rush and business of the city that surrounds it. Since that canoe trip my summers have been filled with more river floats, cross-river swims, beach fires, and exploring new places to enjoy the river. One of my favourite spots is at one of Edmonton’s river valley parks called Terwillegar Park. The bank of the river rises abruptly creating a steep, 10 ft drop into the river. A perfect place for a little “cliff jump”. There is a nearby tree that you can climb and jump from as well creating more air time and making things a little more interesting. The water is about 5 ft deep so bracing for a shallow entry is helpful, although the riverbed is mostly sand here so that makes for a softer landing. Just a warning – not a place to dive in head first. The river valley meanders through the very middle of the city. Although it physically divides our city in two, it seems to bring people together. Historically, this was a gathering place for Indigenous communities. The abundance of park space along the river today creates a communal gathering place for all residents and visitors and it’s cool to see it still carries that tradition. I am currently a student at the UofA in a combined degree in Environmental and Native studies. Through my studies and interests i’ve recently realized the importance of protecting and sustaining the river because it gives our city life. I feel that if we use the river for our benefit, we have the responsibility to protect it and to keep it natural. I am also the Swimmable Water Intern this summer for the North Saskatchewan Riverkeeper Program, a Swim Drink Fish Canada Initiative. I am super excited to be given the opportunity to work with such a cool organization. I’m looking forward to spread the love and respect I have for the river here in Edmonton so that others can enjoy and acknowledge one of the greatest aspects of our city. They say Manitoba is home to over 100,000 lakes and for every lake there are multiple beaches. When’s the last time you unwound and took in a relaxing beachside long weekend? Manitoba is an ideal place to make this a possibility because of its abundance of clean fresh water lakes. For many of us, summer happens by the water and what better way to celebrate Canada Day than going to the beach! On the east shore of Lake Winnipeg about 100km north of Winnipeg you’ll find Grand Beach. There’s no question where Grand Beach got its name from as this beach is very large. Known as Lake Winnipeg’s most popular beach you can be sure that on a hot day you’re going to be where the action is. Sand Dunes line the 3km long beach with an adjacent lagoon situated behind it. The lagoon is home to many species of birds and other wildlife. The beach is divided east and west by a channel leading into the lagoon. A footbridge connects the two for easy accessibility. The channel creates strong currents so if swimming, be aware and maybe pick another spot to jump in. This summer hotspot offers many amenities and endless activities including boating, windsurfing, hiking trails and much more. Water quality tests are performed weekly so be sure to check Swim Guide for details on current conditions. If you’re looking for fireworks this Canada Day and headed out that way, you’re in luck. Grand Beach is hosting a fireworks show right on the beach near the channel so be sure to check it out if you’re in that area this weekend. This lake is named after Metis poet/songwriter Pierre Falcon. It is located about an Hour and a half east of Winnipeg down Highway 1. It is known for its clear, clean and deep waters popular for canoeing, fishing, and swimming. Falcon Lake is sampled biweekly during the summer months and consistently passes the water quality tests for recreational use. If you’re not into water activities there are many other things to do in the area including hiking, mountain biking, and golfing. There are campgrounds in the area as well as hotels so if staying overnight you have a few different options. The abundance of activities makes this place wonderful for families and people of all ages. This is a great place to unwind, relax, and enjoy the long weekend. Gimli is a popular beach town located on the west shore of Lake Winnipeg, an hour north of Winnipeg down Highway 8. The main beach is located on the waterfront at the end of Centre Street, but there are many other beaches in the area as well. The beach in Gimli has soft white sand and is popular for swimming, fishing, sunbathing, and a great place for a picnic. Water quality tests are done weekly so don’t forget to check conditions before enjoying the water. The town of Gimli is touristy and amenities such as shops, restaurants, and hotels are all close by. This is a popular summer vacation spot and with the Canada Day long weekend right around the corner, consider making the trip out to Gimli for a change of scenery and some beach town fun. Located about an hour west of Winnipeg is the town of Lac Du Bonnet. A beach and pier are right in town making this a popular spot for summer enthusiasts. Lac du Bonnet is popular for fishing, boating, and many more recreational water activities. The beach area features a grassy hillside with a playground, a great place for fun and games with family and friends. This beach is sampled and tested monthly during the summer months so be sure to check swim guide for water quality conditions. We encourage you to take advantage of the endless beachside opportunity that Manitoba has to offer. Make the most of your long weekend and summer by visiting the Swim Guide website or downloading the app. We want to share your experience along the water. This weekend, post a photo along the water or share your location via Swim Guide and use #swimdrinkfish. Remember to bring reusable drink and food containers with you to the beach, fireworks show, or wherever your long weekend takes you. Litter and plastic pollution is a huge problem and we need to keep our parks and beaches clean for future sustainability and enjoyment. Saskatchewan is home to an abundance of beautiful lakes and beaches. With the upcoming Canada Day Long Weekend and the start of summer we encourage you to check one out. When was the last time you were able to unwind and truly enjoy your long weekend? For many of us, summer happens by the water and what better way to celebrate Canada Day than going to the beach! Check out the Swim Guide website and app to find a beach close to you. Here are a few popular beach destinations in Saskatchewan to consider this weekend. Be advised that at the moment Saskatchewan does not perform routine water quality tests so take caution before using the water for recreational purposes. Located right in the heart of Saskatchewan you’ll find Candle Lake. Minowukaw Beach is located on the southeast corner. This beach is known for its soft white sand, shallow clear water, and dense forest that surround it. The Provincial park features camping opportunities, boardwalk hikes, and many other recreational activities. The Resort Village of Candle Lake is sure to provide for all service and amenities needed. The nearby services are convenient and don’t take away from the natural beauty of the park and beach area. With all the extra amenities nearby including two campgrounds, along with the clean, shallow water off the beach, this is a great option for people of all ages for the Canada Day Long Weekend. Echo Valley Provincial Park is situated in the Qu’Appelle Valley in between Echo and Pasqua Lake. This provides the opportunity for a chance to visit two beautiful lakes in one trip. The park is home to activities and amenities such as a beach volleyball court, mini golf, nearby stores and much more. Pasqua Lake is on the west side of the park and features a long beach with coarse sand. The water is clear and the views of the valley on all sides makes for a very scenic environment. If you bring the fishing rod along you could be landing some walleye, pike, and perch. Always be sure to bring your fishing license. On the east side of the park you’ll find Echo Lake. Similar to neighboring Pasqua, this beach is also long with coarse sand and clear water. A grassy park is situated behind the beach and features picnic tables, a playground, and other amenities. Compared to Pasqua, the surrounding valley is more developed and not as natural, but still beautiful nonetheless. Named after the man made ski hill “Mount Blackstrap”, this lake can be found just 50km south of Saskatoon. The long and narrow lake and beach is very popular and known for its recreational water use. Boating, windsurfing, and fishing are few of many opportunities offered by the lake. There is a main sandy beach which backs onto a grassy park, perfect for relaxing and playing beach games with friends and family. The lake is also perfect for cooling off in after sweating it out on some of the 5 km of mountain-biking and hiking trails in the area. The easy access and abundance of activity makes this a hot spot for recreational water enthusiasts. A great place to enjoy on the long weekend. This is another one of southern Saskatchewan’s more popular beaches. It is located on Last Mountain Lake via highway 54 about 55km northwest of Regina. You can easily make this a day trip with relatively little driving time. The beach itself is large and sandy, good for handling crowds on hot days and long weekends. The water is clear and is popular for boating and recreational use. The town of Regina Beach swallows the recreation site so shops, restaurants, and other amenities are all close by. For those in Regina this is a “close to home” summer holiday, great long weekend destination, sure to please. Hopefully you get the chance to experience one of Saskatchewan’s beaches this weekend and enjoy the beauty Canada has to offer. Be safe and have fun. For any more information on beaches close to you visit the Swim Guide website or download the app. It’s officially that time of summer to celebrate Canada. For many of us, summer happens by the water and what better way to celebrate Canada Day than going to the beach! With the help of Swim Guide you can find your closest and favorite beach that you could be heading to on the long weekend. Here’s some info on a few popular beach destinations in Alberta. Located in Moonlight Bay on Wabamun Lake about 70km west of Edmonton. This is one of the most popular beaches in central Alberta and for good reason. The water is mostly clear and on a hot day there’s really no better way to cool off. If you’re not a fan of the water then there are many other ways to enjoy this provincial park. Bird watching and frontcountry hiking are two just to name a few. You can expect some crowds on a hot day, but if you like people watching and getting to know someone new then this could be your “close to home”, dream Canada Day Long weekend destination. Ma-Me-O comes from a Cree word meaning “white pigeon” which seems fitting as the lake itself was most likely named for the abundance of passenger pigeons that once inhabited the area. This family friendly little beach town really gives off those summer holiday vibes and is only less than an hour south of Edmonton. There has been water quality issues over the last few years, with blue green algae being the main cause. As always take caution and look for advisories before using the water. This is an ideal place to bring a picnic and enjoy the white soft sand that this beach offers. Look for the local ice cream shop located at the main beach entrance, it’s a sweet way to finish off the day. Sylvan Lake Provincial Park Beach is probably the most popular beach to be at in central Alberta. Its Located about 20km west of Red Deer. The town has become a tourist destination and on hot summer days people of all sorts flock to enjoy the water and amenities. Along with the restaurants, shops, and recreational activities, many in walking distance from the beach park, clear water adds to this lakes popularity. However, if you’re looking for lots of sand where you can pull out the frisbee or volleyball this may not be your go to spot. Most of the beach is a built up grassy park with a small drop as a shoreline. It still has that beachy feel though and is a great place to enjoy with friends and family if you don’t mind the long weekend crowds. They also put on a full slate of activities on Canada Day including a firework show, just another reason to head out to Sylvan Lake on July 1st. This lake is popular for boating and offers great opportunities for recreational use. The water is clean but since it’s fed by the bow river that originates in the nearby Rocky Mountains, this lake is cold. Nonetheless the brave ones can enjoy an icy dip on a hot day and others can admire the beauty of the rocky mountains that create a picture perfect backdrop. There is a campground located at the recreation area as well so if you’re wanting to admire the beauty Canada has to offer on its big birthday weekend than this might be the place to be. Although not as popular as some of these other lakeside beaches, I would say the sandbar at Fort Edmonton Park Footbridge is every bit as great if you’re looking for a beach day this weekend. The natural surrounding of dense forest and large riverbanks makes for a beautiful setting that is different from your average beach. It is located right in the City of Edmonton even though it doesn’t really feel like it at all. The beach is on a river which means flowing water so take caution if you decide to take a dip. Also be advised that this beach is not routinely monitored so water quality results are not always available. Riverkeeper sampled the water here last summer for the months of August and September and passed 100% of the water quality tests. If you’re looking for a more natural, intimate, beach environment this is a spot to check out. The sand is soft, the crowd is mellow and the beauty of the river valley really makes this spot special. Where will you be this Canada Day Long Weekend? We suggest taking out the sunscreen, checking out one of these great beaches and enjoying the beauty that Canada has to offer. To find out more about many other beaches around you check out the Swim Guide website and app. We do not have 2018 water quality results for Alberta beaches yet, but Swim Guide can still help you find a place to spend time by the water with your friends and family. Swim Drink Fish Canada and North Saskatchewan Riverkeeper are seeking a talented and motivated individual for the new, full-time position of Edmonton Swim Guide Program Coordinator. This community-based river monitoring program forms part of a national movement empowering millions of people to know and safeguard their waters using science, law, education, storytelling, and technology. Building on the successes of a 2017 water monitoring pilot project, the Coordinator will implement a comprehensive, community-based, recreational water quality monitoring program along the North Saskatchewan River throughout the City of Edmonton. Reporting to the Manager of Water Literacy, the Coordinator will lead a variety of community and volunteer engagement activities designed to help build a strong network of water stewards equipped with the tools to protect a “swimmable, drinkable, fishable” North Saskatchewan River for everyone. Trialling of monitoring systems and field logistics prior to direct volunteer engagement and publication of the first official results in early June. Development and dissemination of marketing materials and educational resources to support community and volunteer engagement activities. Materials will draw on findings from the 2017 monitoring pilot project and will require further research as necessary. In Phase 1, the Coordinator will receive appropriate training and orientation while developing marketing materials, educational resources, water quality monitoring protocols and systems, engagement and event schedules, and strategies associated with coordination of volunteers. The coordinator will initiate engagements with river user groups and recruitment of volunteers during this time while also trialling monitoring systems in the field prior to active volunteer involvement and publication of test results. In Phase 2, at the beginning of June, official water quality monitoring will begin together with volunteers and test results will be widely published through the Swim Guide platform. Volunteers will be engaged in monitoring activities from June through until late September. Public beach events will be executed during the heat of the summer amidst ongoing water monitoring and stewardship activities. During Phase 3, once monitoring activities have concluded, a final report will be compiled and disseminated and presentations will be made to community groups and stakeholders. The Coordinator will be based in Swim Drink Fish Canada’s Edmonton office and will lead field work and community engagement activities throughout the city. The Coordinator will be required to work outdoors in the Edmonton River Valley under all weather conditions, enter the river using hip-waders, and travel in various watercraft if required. Eight months, full-time position, start date to be confirmed. 37.5 hours/week, including frequent evening and weekend community engagement activities. Compensation is competitive for a program coordinator in the not-for-profit, environmental sector and will be based on the skills, experience, and qualifications of the successful candidate. Imagine a future where every person can safely touch the water that flows through their community, where that water is pure enough for drinking, and where waters are healthy and wild enough that fish and birds and plants thrive. Swimmable, drinkable, fishable water is necessary for the things people value most in life – family and friendship, culture, freedom, and opportunity. By blending science, law, education, and storytelling with technology, we empower millions of people to know and safeguard their waters. Swim Drink Fish Canada has been working for a swimmable, drinkable, fishable future since its launch in 2001 and works closely with North Saskatchewan Riverkeeper and other Waterkeeper charities across the country and around the world. Learn more at http://www.saskriverkeeper.caand http://www.swimdrinkfish.ca. Interested candidates are invited to submit a cover letter and resume for consideration. Cover letters are very important to us! Please email applications to Hans Asfeldt ( hans@swimdrinkfish.ca ) using subject heading Edmonton Swim Guide Program Coordinator. Applications must be received no later than 11:59pm MST on Sunday, February 18, 2018. All applicants will be notified regarding the outcome of their applications. This position is currently pending requested grant funds. We thank you for your interest. The deep cold of winter has arrived, and with it, an opportunity to experience the natural world in a whole new way. Yesterday, I bought a new neck warmer to cover my face and to replace one that was lost during warmer times. Then, I headed down to Victoria Park armed with my cross-country skis and a camera. Fresh tracks in the river valley. Fresh, crisp air, too. A first look at the river and the last remaining hints of an autumn now long forgotten. Even with a blanket of snow and ice, the endless flow of the North Saskatchewan River continues. When you embark on a North Saskatchewan River adventure, it is not hard to imagine oneself a grand explorer discovering the incredible expanses of the Edmonton River Valley. You may well discover a brand new world – one that fits in the palm of your hand. Other discoveries may be out of this world altogether. Wherever you go, you will always leave footprints. Wherever you have been, the weather will always bring a new blanket of snow. So dare to venture into the cold, you never know what you will find. Most Edmontonians have by now accepted that a White Christmas may not come until next year. Although many of us will miss it, the flip side is that the City of Edmonton will use less of its new liquid salt spray on our roadways this holiday season. Anything that goes on our roads, of course, also enters our river. Unfortunately, chlorides are well-documented toxins in aquatic environments and the practice has concerning implications for the health of the North Saskatchewan River and the fish that call it home. We wrote about this earlier in the year following the approval of the current pilot program, which has now begun spraying 40% of Edmonton’s roadways as well as the downtown bike lanes. However road salting is managed, there is always a need to carefully assess the impact to freshwater environments and as the program is piloted, it is not clear that these impacts are being quantified. City Councillors requested at the spring meeting that administration ensure this monitoring take place and we are hopeful that these concerns will be taken seriously. In order to determine the best road-clearing strategies moving forward, it is necessary to assess the impacts of the historical management practices and compare them to the impacts of the pilot project as well as alternatives – including the mandatory use of winter tires (an alternative that not only reduces the contamination of freshwater and avoids premature rust to vehicles and infrastructure, but also reduces collisions by 5% and deaths and serious injuries by 3%). North Saskatchewan Riverkeeper would like to see a comprehensive assessment that not only considers the costs and effectiveness of these practices as was done in the City’s report earlier this year, but also the environmental impacts. In addition, to better support this assessment the remainder of the pilot program should include a coordinated approach to the direct measurement of chlorides entering the river through stormwater outfalls using the monitoring equipment already installed on drainage infrastructure. The City indicated earlier this year that there will be opportunities for public and stakeholder engagement over the course of the winter and into next summer prior to a decision about the future of the Edmonton’s road-clearing strategies. Watch for information about these processes as well as a subsequent blog post in the new year that will go into greater depth about the impacts of road-salting on aquatic ecosystems. In the meantime, enjoy a snow-free Christmas and know that if the fish are sharing in the festivities, it may have something to do with a breath of freshwater in between snowfalls and road-salting. Of course, it may also just be the time of year. Stay tuned and have a very Merry Christmas! The hum at last week’s Urban Planning Committee meeting revealed a quiet excitement – the kind that secretly bubbles behind outward political composure. Sparking eyes all around the table hinted mischievously that mere committee formalities could do little to dissuade hearts already set on building public beaches along the North Saskatchewan River. In the second order of business, administration tabled a report outlining the various regulatory permits and approvals required to build these beaches and the ensuing discussion inspired a subsequent request for a more complete feasibility study, due at the end of February. Edmonton has a long history of exploring these kinds of projects, and on paper at least, the reports at hand are little more than a couple of small steps that will keep the discussion going into the new year. Indeed, the report presented last week was interpreted by some as a long list of obstacles that will inevitably sideline what is best left to the forces of nature. The regulatory requirements certainly require a great deal of work and due diligence, but it should be noted that the list represents a very ordinary set of standard processes, almost all of which also apply to the ongoing construction of the Tawatinaw LRT bridge that formed Cloverdale Beach (also note thousands of projects ranging from hydroelectric dams to channel rerouting that have been approved despite much greater impacts to aquatic ecosystems). While building a beach is no public transit initiative, the notion of reshaping natural waterways to the benefit of swimming, paddling, or other recreational activities is nothing new under the sun. Take for example, the whitewater racing course on the Kananaskis River in southern Alberta. The hydrology along the stretch below the Barrier Dam was dramatically engineered to created a variety of exciting whitewater features for kayaking, canoeing, rafting, and even surfing. More modest shoreline alterations were made on the Ottawa River to enhance public beaches and as others have highlighted, there is a natural public beach on the Milk River at Writing-on-Stone Provincial Park. The Elbow River in Calgary offers a number of swimming opportunities, and right here on our very own North Saskatchewan River, we already enjoy what are effectively permanent manmade beaches immediately downstream of the Laurier Park and Gold Bar Park boat launches (not to mention a sandy shoreline at Terwillegar and the glorious and expansive natural sandbar near Fort Edmonton Park, among others). Building a beach can be done and has been done. The obstacles are far from insurmountable. As Councillor Walters put it, the various provincial and federal laws that govern these developments represent some of the most important legislation in Canada. They are in place to ensure that we undertake development responsibly and in a way that balances multiple interests while mitigating adverse effects – environmental effects in particular. With the above in mind, the sparkle in the eyes of committee members certainly reflects the excitement that so many of us share, but perhaps it also reflects a determination to do the work that’s needed, and to do it well. It’s a safe bet that the feasibility study will come back at the end of February with an extensive list of considerations and challenges. But the regulatory requirements themselves should not be seen as obstacles. 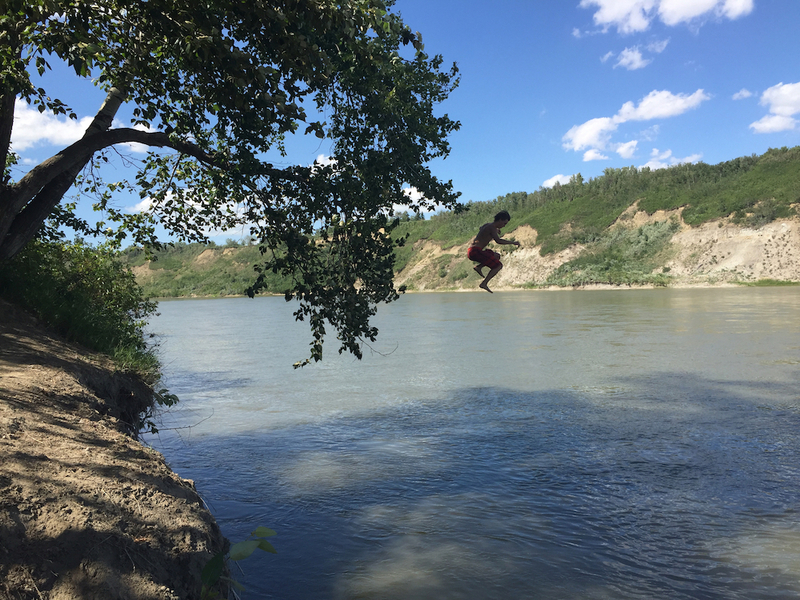 A public beach on the North Saskatchewan River is feasible, and perhaps more than one. It is simply up to us to find the right way about it. Indeed, it is an opportunity to come together and imagine a community that truly thrives with the ebbs and flows of the river, and in turn, to imagine a river that truly thrives in the heart of our city. The river, after all, has always been the heart of Edmonton and it is time we share the love.